Slime Molds Remember — but Do They Learn? 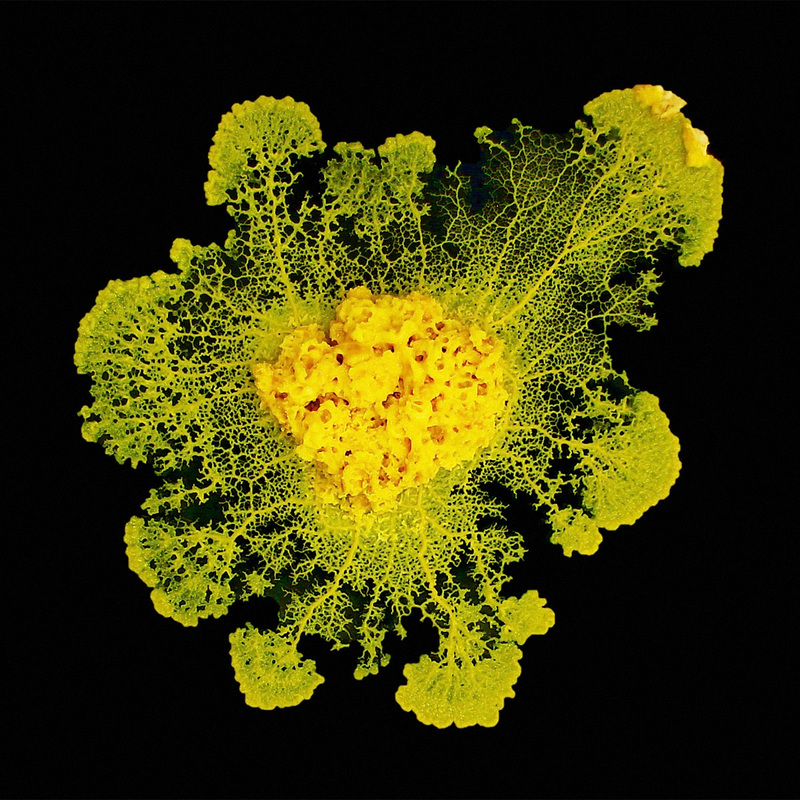 Despite its single-celled simplicity and lack of a nervous system, the slime mold Physarum polycephalum may be capable of an elementary form of learning, according to some suggestive experimental results. Slime molds are among the world’s strangest organisms. Long mistaken for fungi, they are now classed as a type of amoeba. As single-celled organisms, they have neither neurons nor brains. Yet for about a decade, scientists have debated whether slime molds have the capacity to learn about their environments and adjust their behavior accordingly. For Audrey Dussutour, a biologist at France’s National Center for Scientific Research and a team leader at the Research Center on Animal Cognition at Université Paul Sabatier in Toulouse, that debate is over. Her group not only taught slime molds to ignore noxious substances that they would normally avoid, but demonstrated that the organisms could remember this behavior after a year of physiologically disruptive enforced sleep. But do these results prove that slime molds — and perhaps a wide range of other organisms that lack brains — can exhibit a form of primitive cognition? Slime molds are relatively easy to study, as protozoa go. They are macroscopic organisms that can be easily manipulated and observed. There are more than 900 species of slime mold; some live as single-celled organisms most of the time, but come together in a swarm to forage and procreate when food is short. Others, so-called plasmodial slime molds, always live as one huge cell containing thousands of nuclei. Most importantly, slime molds can be taught new tricks; depending on the species, they may not like caffeine, salt or strong light, but they can learn that no-go areas marked with these are not as bad as they seem, a process known as habituation. 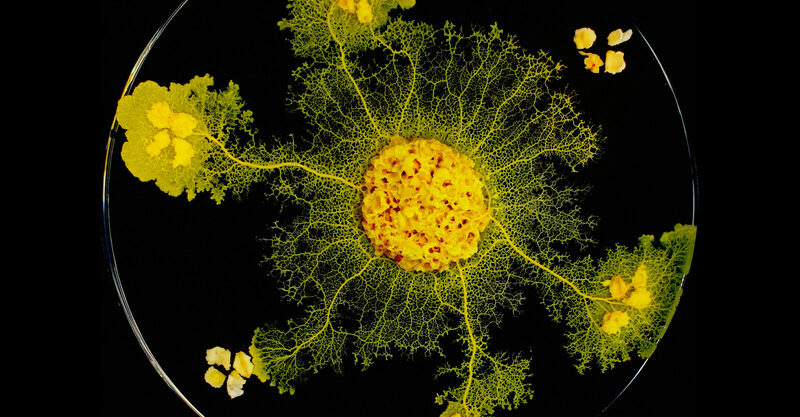 For Dussutour, “that such organisms have the capacity to learn has considerable implications beyond recognizing learning in nonneural systems.” She believes that slime molds may help scientists to understand when and where in the tree of life the earliest manifestations of learning evolved. Studies of the behavior of primitive organisms go all the way back to the late 1800s, when Charles Darwin and his son Francis proposed that in plants, the very tips of their roots (a small region called the root apex) could act as their brains. Herbert Spencer Jennings, an influential zoologist and early geneticist, made the same argument in his seminal 1906 book Behavior of the Lower Organisms. 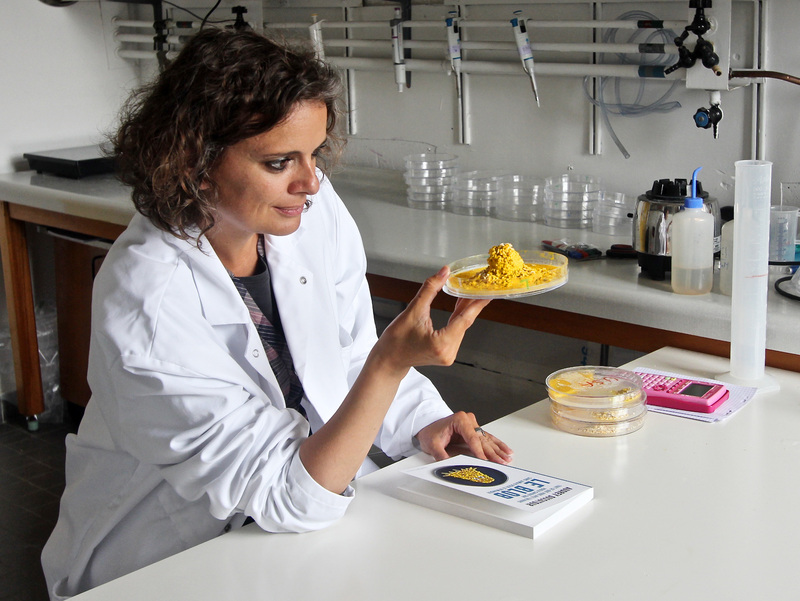 Audrey Dussutour, a biologist who studies animal cognition and the plasticity of organisms at France’s National Center for Scientific Research, holds a dish of cultured slime mold. She believes that such organisms might clarify how learning first evolved. She started studying the slimy blobs by putting herself “in the position of the slime mold,” she said — wondering what it would need to learn about its environment to survive and thrive. Slime molds crawl slowly, and they can easily find themselves stuck in environments that are too dry, salty or acidic. Dussutour wondered if slime molds could get used to uncomfortable conditions, and she came up with a way to test their habituation abilities. Habituation is not just adaptation; it’s considered to be the simplest form of learning. It refers to how an organism responds when it encounters the same conditions repeatedly, and whether it can filter out a stimulus that it has realized is irrelevant. For humans, a classic example of habituation is that we stop noticing the sensation of our clothes against our skin moments after we put them on. We can similarly stop noticing many unpleasant smells or background sounds, especially if they are unchanging, when they are unimportant to our survival. For us and for other animals, this form of learning is made possible by the networks of neurons in our nervous systems that detect and process the stimuli and mediate our responses. But how could habituation happen in unicellular organisms without neurons? Starting in 2015, Dussutour and her team obtained samples of slime molds from colleagues at Hakodate University in Japan and tested their ability to habituate. The researchers set up pieces of slime mold in the lab and placed dishes of oatmeal, one of the organism’s favorite foods, a short distance away. To reach the oatmeal, the slime molds had to grow across gelatin bridges laced with either caffeine or quinine, harmless but bitter chemicals that the organisms are known to avoid. “In the first experiment, the slime molds took 10 hours to cross the bridge and they really tried not to touch it,” Dussutour said. After two days, the slime molds began to ignore the bitter substance, and after six days each group stopped responding to the deterrent. 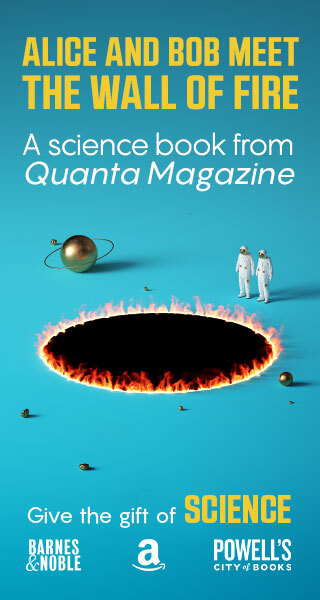 The habituation that the slime molds had learned was specific to the substance: Slime molds that had habituated to caffeine were still reluctant to cross a bridge containing quinine, and vice versa. This showed that the organisms had learned to recognize a particular stimulus and to adjust their response to it, and not to push across bridges indiscriminately. 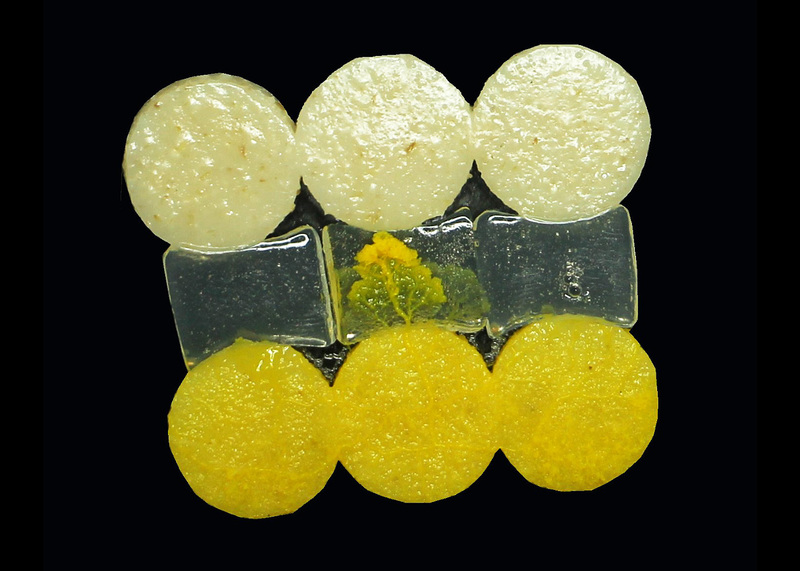 In experiments conducted by Dussutour’s team, disks of yellow slime mold (at bottom) can eat plates of oatmeal (at top) — but only if they cross gelatinous bridges (at center) laced with noxious but harmless compounds. Here, the middle slime mold sample has learned to disregard the chemicals, a process called habituation. 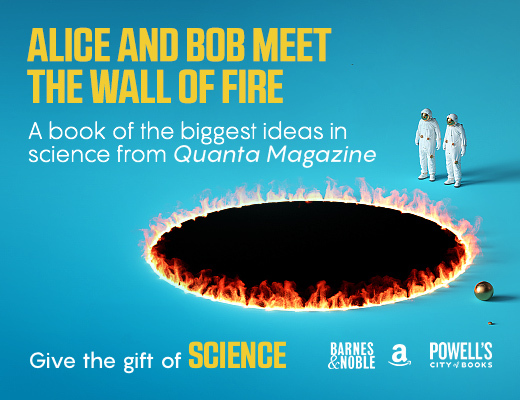 Finally, the scientists let the slime molds rest for two days in situations where they were exposed to neither quinine nor caffeine, and then tested them with the noxious bridges again. “We saw that they recover — as they show avoidance again,” Dussutour said. The slime molds had gone back to their original behavior. Of course, organisms can adapt to environmental changes in ways that don’t necessarily imply learning. But Dussutour’s work suggests that the slime molds can sometimes pick up these behaviors through a form of communication, not just through experience. In a follow-up study, her team showed that “naïve,” non-habituated slime molds can directly acquire a learned behavior from habituated ones via cell fusion. Unlike complex multicellular organisms, slime molds can be cut into many pieces; once they’re put back together, they fuse and make a single giant slime mold, with veinlike tubes filled with fast-flowing cytoplasm forming between pieces as they connect. Dussutour cut her slime molds into more than 4,000 pieces and trained half of them with salt — another substance that the organisms dislike, though not as strongly as quinine and caffeine. The team fused the assorted pieces in various combinations, mixing slime molds habituated to salt with non-habituated ones. They then tested the new entities. “We showed that when there was one habituated slime mold in the entity that we were forming, the entity was showing habituation,” she said. “So one slime mold would transfer this habituated response to the other.” The researchers then separated the different molds again after three hours — the time it took for all the veins of cytoplasm to form properly — and both parts still showed habituation. The organism had learned. But Dussutour wanted to push further and see whether that habituating memory could be recalled in the long term. So she and her team put the blobs to sleep for a year by drying them up in a controlled manner. In March, they woke up the blobs — which found themselves surrounded by salt. The non-habituated slime molds died, perhaps from osmotic shock because they could not cope with how rapidly moisture leaked out of their cells. “We lost a lot of slime molds like that,” Dussutour said. “But habituated ones survived.” They also quickly started extending out across their salty surroundings to hunt for food. What that means, according to Dussutour, who described this unpublished work at a scientific meeting in April at the University of Bremen in Germany, is that a slime mold can learn — and it can keep that knowledge during dormancy, despite the extensive physical and biochemical changes in the cells that accompany that transformation. Being able to remember where to find food is a useful skill for a slime mold to have in the wild, because its environment can be treacherous. “It’s very good it can habituate, otherwise it’d be stuck,” Dussutour said. More fundamentally, she said, this result also means that there is such a thing as “primitive cognition,” a form of cognition that is not restricted to organisms with a brain. Scientists have no idea what mechanism underpins this kind of cognition. Baluška thinks that a number of processes and molecules might be involved, and that they may vary among simple organisms. In the case of slime molds, their cytoskeleton may form smart, complex networks able to process sensory information. “They feed this information up to the nuclei,” he said. It’s not just slime molds that may be able to learn. Researchers are investigating other nonneural organisms, such as plants, to discover whether they can display the most basic form of learning. For example, in 2014 Monica Gagliano and her colleagues at the University of Western Australia and the University of Firenze in Italy published a paper that caused a media frenzy, on experiments with Mimosa pudica plants. Mimosa plants are famously sensitive to being touched or otherwise physically disturbed: They immediately curl up their delicate leaves as a defense mechanism. Gagliano built a mechanism that would abruptly drop the plants by about a foot without harming them. At first, the plants would retract and curl their leaves when they were dropped. But after a while, the plants stopped reacting — they seemingly “learned” that no defensive response was necessary. Slime molds are highly efficient at exploring their environment and making use of the resources they find there. Researchers have harnessed this ability to solve mazes and other problems under controlled conditions. Traditionally, simple organisms without brains or neurons were thought to be capable of simple stimulus-response behavior at most. Research into the behavior of protozoa such as the slime mold Physarum polycephalum (especially the work of Toshiyuki Nakagaki at Hokkaido University in Japan) suggests that these seemingly simple organisms are capable of complex decision-making and problem-solving within their environments. Nakagaki and his colleagues have shown, for example, that slime molds are capable of solving maze problems and laying out distribution networks as efficient as ones designed by humans (in one famous result, slime molds recreated the Tokyo rail system). Chris Reid and his colleague Simon Garnier, who heads the Swarm Lab at the New Jersey Institute of Technology, are working on the mechanism behind how a slime mold transfers information between all of its parts to act as a kind of collective that mimics the capabilities of a brain full of neurons. Each tiny part of the slime mold contracts and expands over the course of about one minute, but the contraction rate is linked to the quality of the local environment. Attractive stimuli cause faster pulsations, while negative stimuli cause the pulsations to slow. Each pulsing part also influences the pulsing frequency of its neighbors, not unlike the way the firing rates of linked neurons influence one another. Using computer vision techniques and experiments that might be likened to a slime mold version of an MRI brain scan, the researchers are examining how the slime mold uses this mechanism to transfer information around its giant unicellular body and make complex decisions between conflicting stimuli. It all depends on how one defines learning, according to John Smythies, the director of the Laboratory for Integrative Neuroscience at the University of California, San Diego. He is not persuaded that Dussutour’s experiment with slime molds staying habituated to salt after extended dormancy shows much. “‘Learning’ implies behavior and dying is not that!” he said. To Fred Kaijzer, a cognitive scientist at the University of Groningen in the Netherlands, the question of whether these interesting behaviors show that slime molds can learn is similar to the debate over whether Pluto is a planet: The answer depends as much on how the concept of learning is cast as on the empirical evidence. Still, he said, “I do not see any clear-cut scientific reasons for denying the option that nonneural organisms can actually learn”. 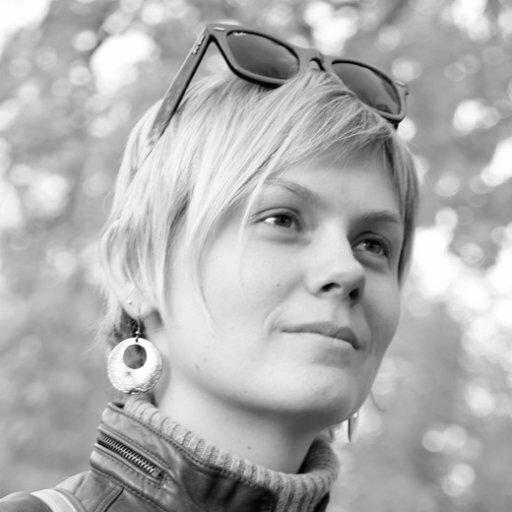 Baluška said that many researchers also fiercely disagree about whether plants can have memories, learning and cognition. Plants are still considered to be “zombielike automata rather than full-blown living organisms,” he said. But the common perception is slowly changing. “In plants, we started the plant neurobiology initiative in 2005, and although still not accepted by the mainstream, we already changed it so much that terms like plant signaling, communication and behavior are more or less accepted now,” he said. The debate is arguably not a war about the science, but about words. “Most neuroscientists I have talked to about slime mold intelligence are quite happy to accept that the experiments are valid and show similar functional outcomes to the same experiments performed on animals with brains,” Reid said. What they seem to take issue with is the use of terms traditionally reserved for psychology and neuroscience and almost universally associated with brains, such as learning, memory and intelligence. “Slime mold researchers insist that functionally equivalent behavior observed in the slime mold should use the same descriptive terms as for brained animals, while classical neuroscientists insist that the very definition of learning and intelligence requires a neuron-based architecture,” he said.